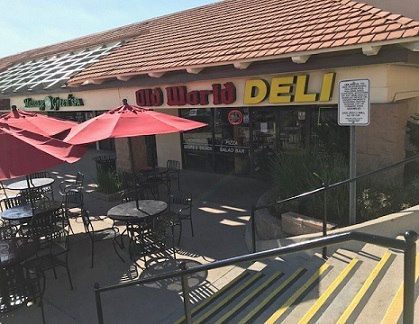 Old World Deli, 281 S. Mountain Ave. (at 8th), Upland; open 10 a.m. to 8 p.m. daily except Sunday, 11 a.m. to 7 p.m.
A storefront in the Mountain Green shopping center next to a former Mervyns and Kohl’s is on the surface an incongruous spot for a restaurant named Old World Deli. 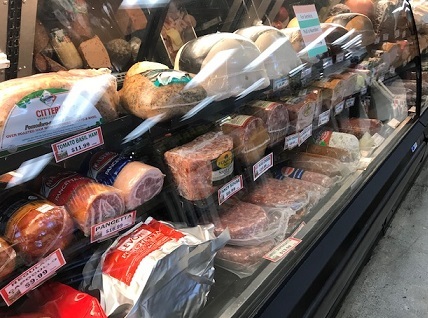 It calls itself “an international delicatessen featuring Italian, German, Jewish and American food” and began as a meat market in Downey in 1969. 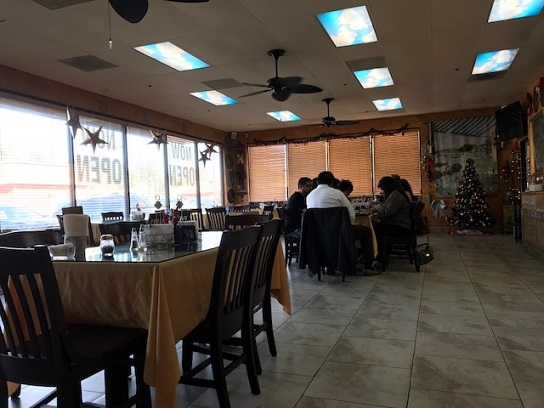 The Upland location began in 1973 on Foothill Boulevard, according to one of the many newspaper writeups framed on the walls. There were multiple locations at its height; today there’s Covina (126 Shoppers Lane) and Upland. I ate here once or twice in the ’00s and had positive experiences while never feeling motivated to return. A few months ago, a soup-lovin’ friend told me the soups are top-notch, putting the restaurant back on my radar. 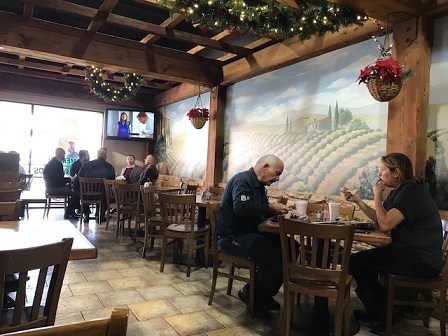 During the holidays, an attempted visit to my go-to pizzeria, San Biagio’s, in Mountain Green was thwarted due to vacation. So I hit up Old World Deli. 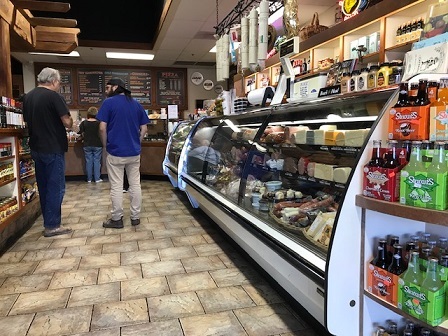 After the shaded patio tables out front, you enter to a deli case, tile floor, a wall-filling mural and some Italian market items. Rather than order at the deli counter, you order at the regular counter, where the staff is friendly. 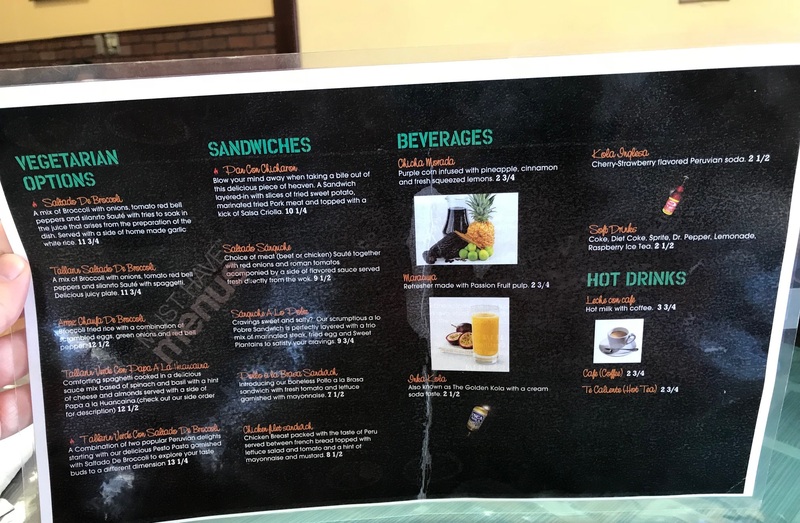 The menu has hot and cold sandwiches, a salad bar, soup, pizza, pasta dinners, hot dogs and broasted chicken. They are broad-minded sorts. I got the tuna melt ($8), a special that day. 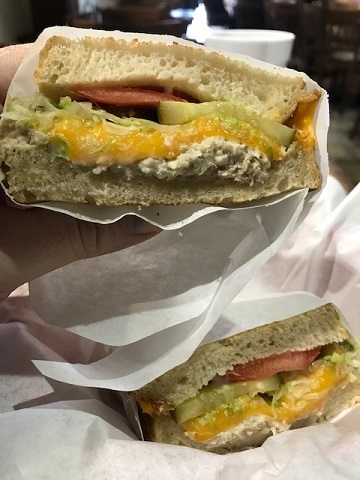 As careful readers know, the tuna melt is my baseline sandwich, the one I will almost invariably order if it’s on a menu to get a sense of the restaurant. This was a good version with pickles, cheddar and tomatoes on sourdough. 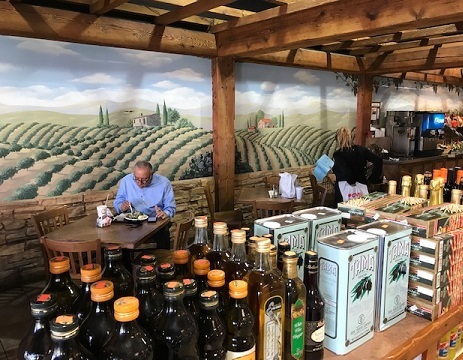 A week later, with San Biagio’s still closed, this time for painting, I had the excuse for a repeat visit to Old World Deli. I wanted a soup and, with five choices, went with cream of mushroom, which was sold out. 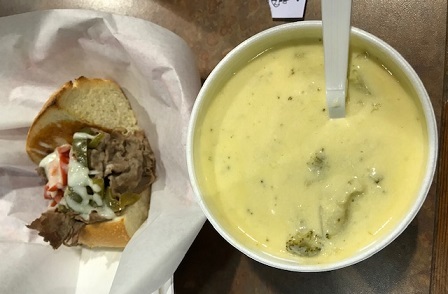 I opted for broccoli cheese, plus a half sandwich, roast beef (around $8.50). The sandwich, about 4 inches, was packed with roast beef. The soup was the standout, an 8-ounce serving, creamy and, remarkably, hot all the way to the bottom of the foam cup. Both made for a decent-sized lunch. I ought to try one of the dinners, which they serve after 4 p.m. and which include a daily special, like fish and chips on Friday. Fish and chips? Broasted chicken? Lasagna? They seem to know what they’re doing, so it wouldn’t surprise me if all these items were pretty good. Although I would advise them against branching out into sushi. You know how it is: Sometimes there’s a long-lived, beloved restaurant that you always mean to try, but you never get around to it. Claro’s was like that for me. I knew where it was, but it’s rare that I pass by on North Mountain, and since it’s a market, seating might be an issue. It was always a “one day I’ll check it out” kind of place for me. 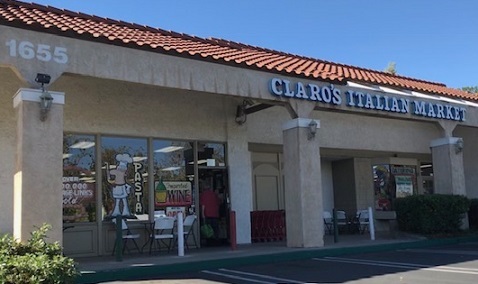 But then a friend in the San Gabriel Valley brought up Claro’s to me, as there are a few out that way. This was two weeks ago, on what was looking to be the the last hot stretch we were likely to have in 2018. 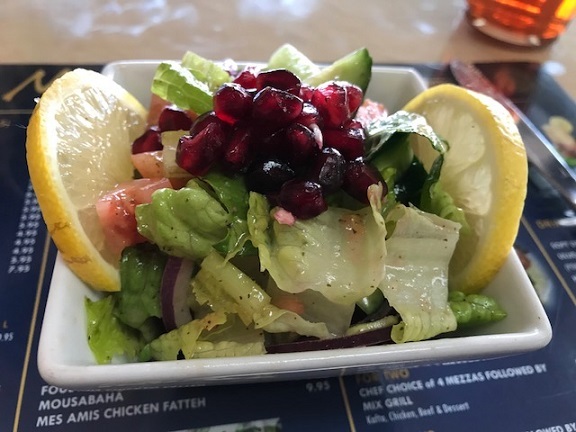 Since the heat was such that eating outdoors would be comfortable for your easily chilled blogger, I resolved to make a special trip for lunch that Friday before inspiration faded. 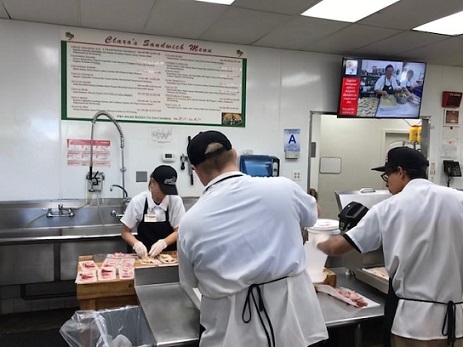 Claro’s is larger than I’d have expected, the deli area busy with employees preparing catering orders and fulfilling a long grocery list of the other mid-afternoon customer, who ordered a pound or half-pound of multiple deli meats. 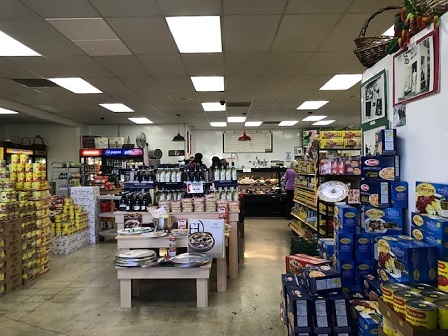 The store, incidentally, has pasta, sauces, canned tomatoes and many other Italian items — as probably everyone reading this has known for years. The young man taking my order suggested the Grandpa Joe as the deli’s most popular sandwich. It’s got salami, capocolla, provolone, lettuce, tomatoes, pepperocini and dressing on a (what else?) Italian roll. Price is $7 for a small or $8.49 for a large. So obviously I got the large. I paid at the register and also bought a $1.20 cookie, which, charmingly, rang up on the receipt as “Delicious Claro’s cookies,” and a Pepsi, then took it all out to one of the half-dozen outdoor tables, situated under the broad awning. Customers came and went from the store, some grabbing a small shopping cart before entering. 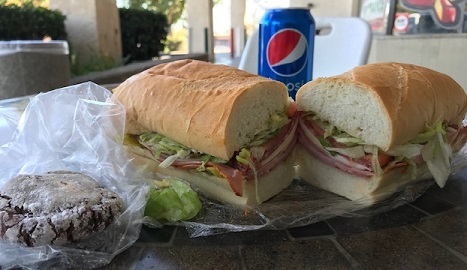 The capocolla and pepperocini provided a nice kick that cut through the other fillings like Willie Nelson’s voice through your speakers. The roll was soft and crusty. The result was delicious, possibly the best such cold deli sandwich in the Inland Valley. Half a sandwich would have been fine, by the way, but I went ahead and finished it. And the cookie did not make a liar out of the receipt. 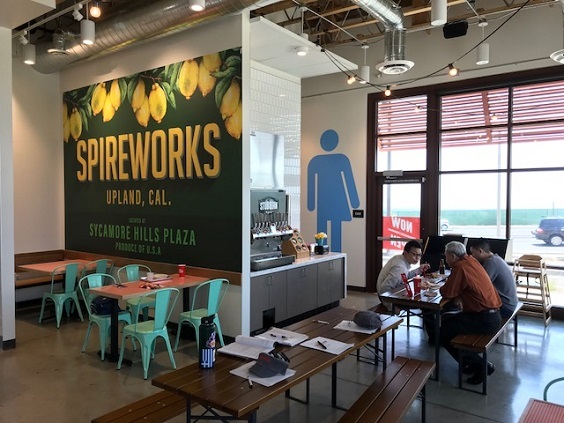 SpireWorks Modern Döner, 2129 Baseline Road (at 210), Upland; open daily, 11 a.m. to 10 p.m.
SpireWorks is a new chain with locations so far only in Eagle Rock, Westwood and Upland, with Thousand Oaks coming soon. Yes, we are part of the in crowd for a change. Ours opened in the new Sycamore Hills Plaza straddling the Upland/Claremont border on Baseline immediately east of the 210. It’s kind of amazing to see this center spring to life on rocky, scrubby land I’d never paid any attention to. And now there’s a Whole Foods 365 there. The mind reels. I met a friend at SpireWorks for lunch a couple of weeks ago, curious about döner after having had some in Germany last year. It’s not unfamiliar if you’ve been to a Mediterranean restaurant where they carve meat off a vertical spit. Döner is what they call that in Europe, where döner kebabs (sandwiches on pita bread) are very popular. 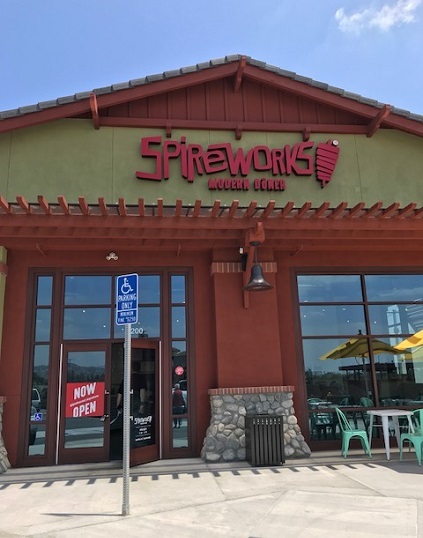 SpireWorks has beef and chicken döner, plus falafel. You can get them as plates, bowls or sandwiches. They also sell salads. 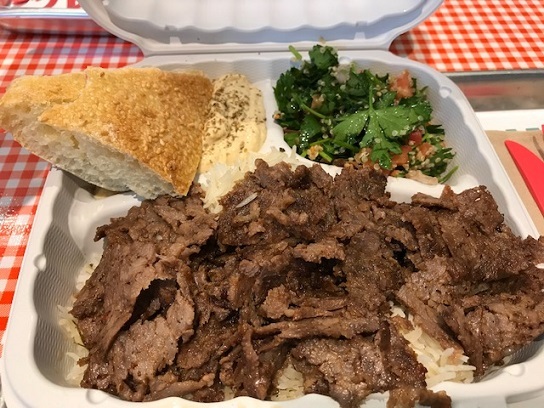 I had a beef döner plate with two sides ($12.50): tabbouleh and hummus. I won’t say I was transported back to Wittenberg, especially without a cobblestone street outside and a Lutheran church nearby, but I enjoyed it. The bread, rather than pita, was unusual. 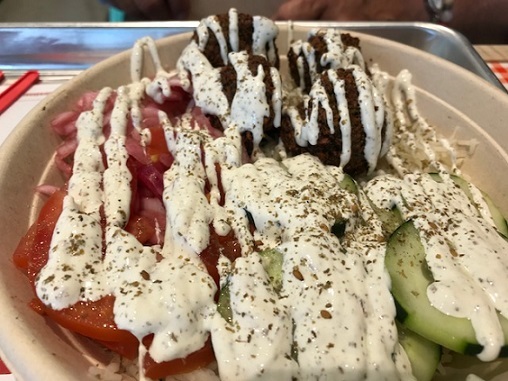 My friend had a falafel bowl ($9.50), Istanbul style (more on that below), and said she liked the mild flavors. Personally, I think the sauce is overdone, but she gave me some falafel, and it was fine. The sandwiches come on thick bread, not pita, and salads, sandwiches and bowls can be ordered in one of four styles: Istanbul, Berlin, Greek and Philly (! ), the latter with Cheez Whiz. 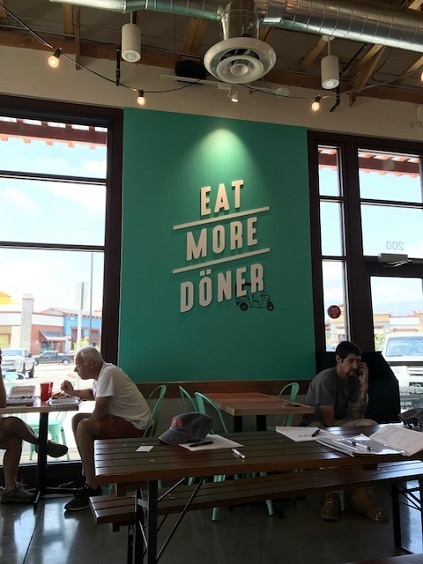 Needless to say, SpireWorks is not offering a purist vision of döner but a compromised, America-friendly version. I don’t entirely approve, but the food is okay, and I can see going back. I like the faux lemon-crate label wallpaper, by the way. 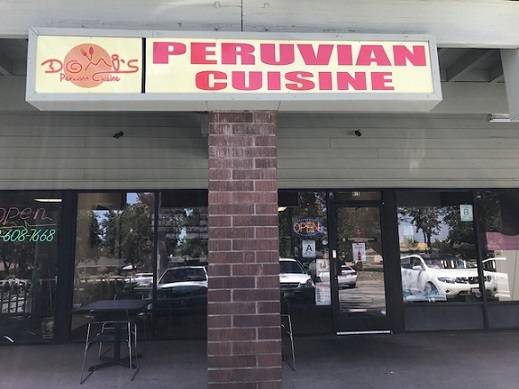 The Inland Valley used to have just a couple of Peruvian restaurants; now it’s got at least five: one in Claremont, two in Rancho Cucamonga and two in Upland. 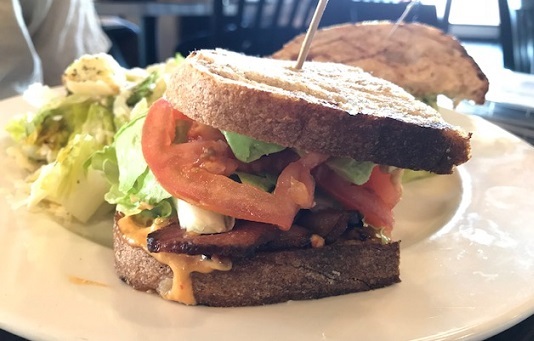 Domi’s is among the latter, opening in 2014 in the center on the southwest corner of Euclid and Foothill, in the strip south of Coco’s that faces Euclid. The last time I’d eaten in that space, it was a taqueria. I’d seen the Domi’s sign many times but hadn’t gone in until recently, when I arranged to meet a friend for a weekday lunch. It’s a small spot, just a few tables, with tourism-type photos of Peru on the walls. They’ll wait on you if there’s two or more of you, it seems; otherwise you order at the counter. The menu isn’t online, but it’s got the best-known Peruvian dishes and many that were unfamiliar to me. Click on the photos below for a larger view. Note there are five vegetarian options. 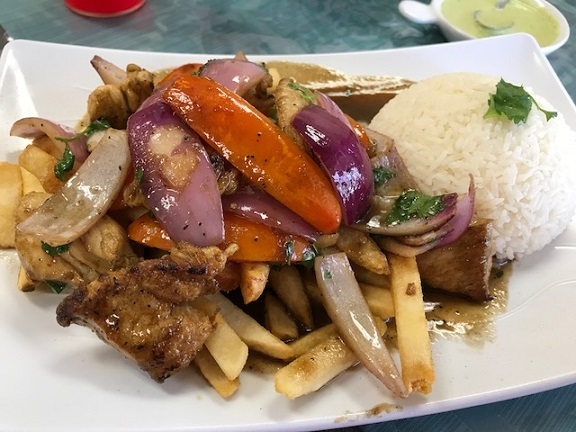 I had the pollo saltado ($11.50, above): chicken on fries sauteed with tomatoes and purple onions. It was a good version. 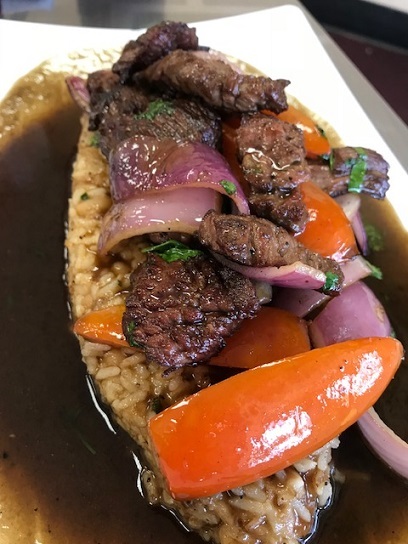 My friend had the beef tacu tacu ($12.75): sliced Angus beef saltado (chicken or shrimp and calamari available too) served on garlic rice. He’d never had that, but he liked it. We had considered getting an appetizer to share but were glad we didn’t, as we could barely finish our entrees. 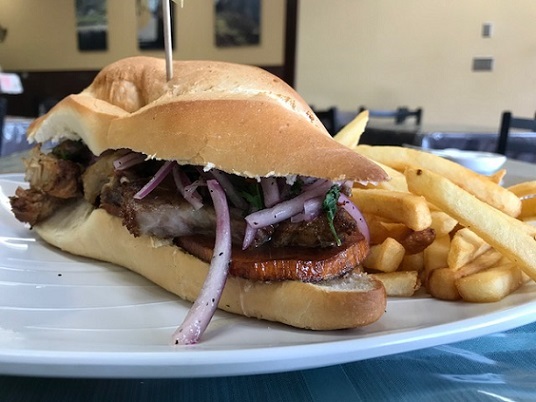 Rather than pork skin, as in Mexico, the Peruvian version of chicharron is a pork cutlet. Combined with slices of sweet potato and strips of pickled purple onion, it was served on a thick roll. I’m not sure it blew my mind away, but then, by middle age one becomes a bit jaded. But this was a pleasant combination of flavors, and filling. 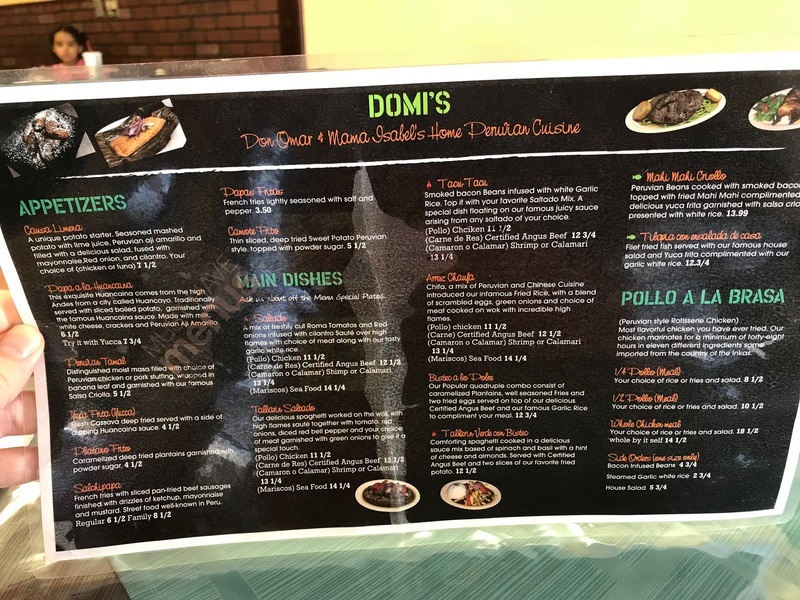 If you like Peruvian food, or would like to try it, Domi’s is a good choice. 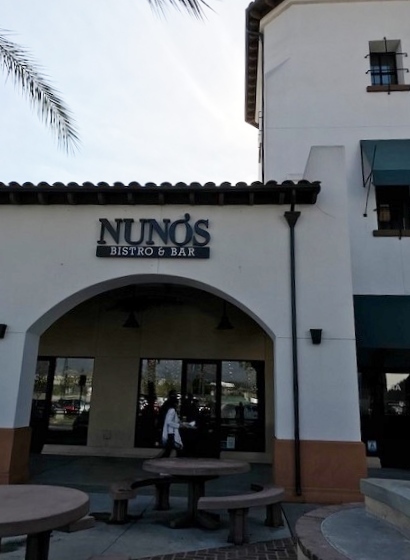 Nuno’s is Claremont-adjacent, and probably considered Claremont by most who visit and Montclair by many of the rest; it’s in the College Park center that also has a Legends, Bakers, Juancho’s and Noodle World Jr.
I’d seen it and heard good things, but on my occasional cheap, solo dinners in the center, I would look in at the dimly lighted Nuno’s, see couples and groups drinking wine and being convivial, and decide it was not for the likes of me. A convivial friend who’s been there a few times with his wife said my sense of the scene was accurate. But he and I recently met up there for lunch, which is more my speed. It’s a modernist space, all high ceilings, bare floors and art on the walls, with a three-sided bar and light pouring in during the day. 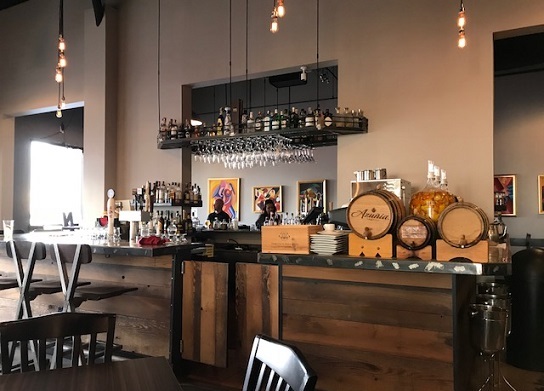 The menu, which doesn’t seem to be on the Nuno’s website no matter how many times you click on the “menu” tab, has a sort of generalized European fare, with breakfast, tapas, pizzas, salads and sandwiches. Lunch specials range from $25 to $36, so prepare yourself accordingly. But there is lower-priced fare for the wage-slave budget. 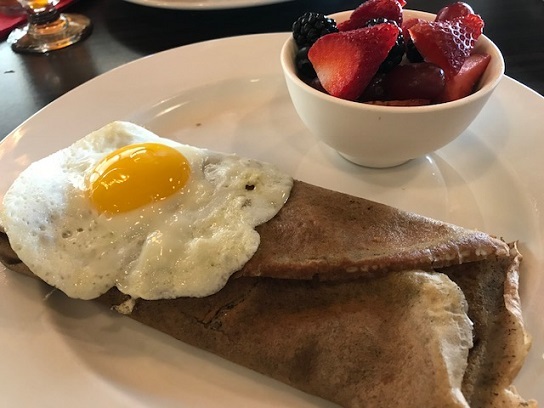 I had the crepe marieke ($11), with crimini mushrooms, spinach and cheese inside a buckwheat crepe, a fried egg on top and truffle oil drizzle. I liked how it sounded and liked how it tasted. This came with a side of fruit: grapes, strawberries, blackberries and melon, a refreshing accompaniment. Of the dinners, he said he’s liked the patatas bravas, thought the charcuterie was OK and didn’t like the paella. Let me note, too, that the service was of the friendly but low-key quality one rarely encounters in these parts. I’m glad I gave Nuno’s a try. It’s one of the better local restaurants. And lunch is relaxed enough that your casual, low-budget and not so convivial columnist may return. I was a fan of Mes Amis, which opened in 2010 in Chino Hills and, famously, has a second location in London, England. That was almost an in-joke for the two Elias brothers, each of whom ran one of the Mes Amis and put both cities on their menus and business cards. There was an ill-starred attempt at an Upland location as well — maybe Shanghai or Rio de Janeiro proved impractical — but that didn’t work out. And the Chino Hills restaurant closed last August when its lease was up. 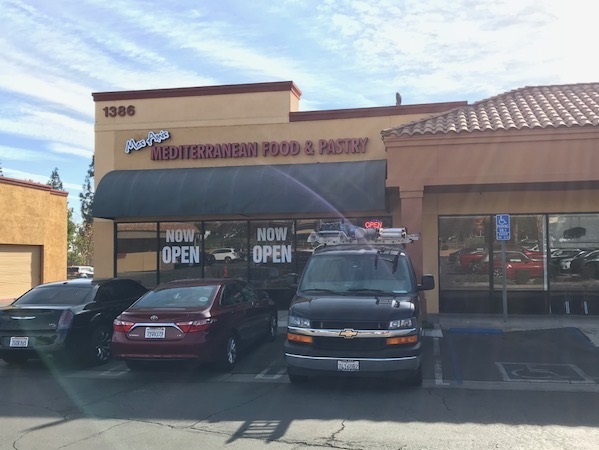 But Mes Amis, and Sammy Elias, have resurfaced in Upland, where he took over the former Claire’s Mediterranean Food and Pastry, using the Mes Amis name but keeping on Claire, a distant relative, and her pastry-making. I went in for lunch a few weeks back and was greeted like an old friend, which I believe I am. More on that at the end. 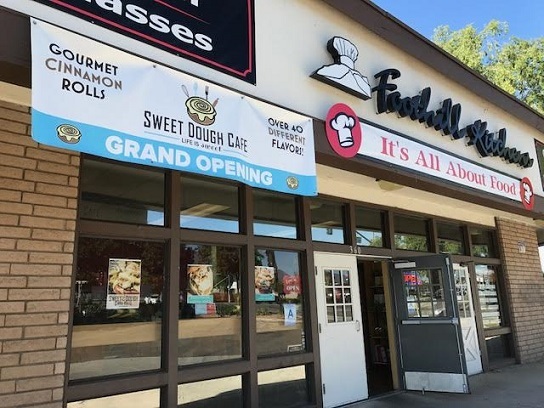 The restaurant is at the west end of the center on the south side of Foothill Boulevard and west of Grove Avenue. The center has a few restaurants, a nightclub and a Firestone shop. Not upscale in any sense. Mes Amis’ interior is one big room rather than having a kitchen in the middle as before, but the decor is largely the same as in Chino Hills. 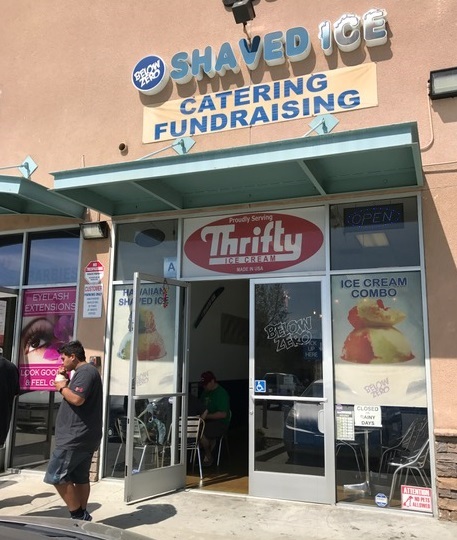 The menu has many familiar items but more plates and sandwiches, and supposedly the goal is to get you out quicker than they did at the leisurely placed Chino Hills location. As my lunch lasted probably 90 minutes, Sammy’s quicker pace isn’t exactly Zankou level, but Mes Amis is more casual than before, it’s true. I got an order of cheese sambousek ($5, above), a rosewater iced tea ($2.75) and a chicken kabab plate ($14). 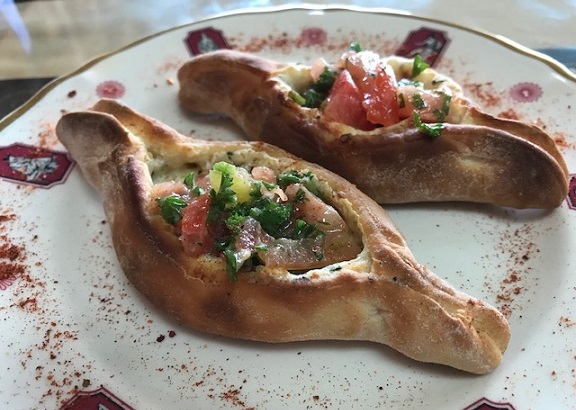 The knife-and-fork sambousek, a warm pastry with cheese, diced tomatoes and parsley, lives up to the word “appetizer,” as it made me anticipate the meal, and the addition of rosewater to my standard iced tea was a pleasant upgrade. 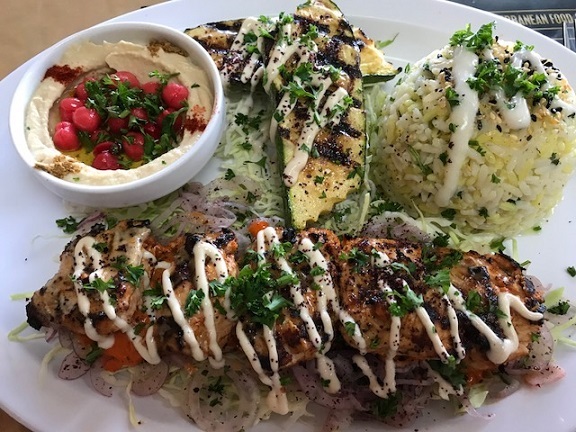 The kabab plate had rice, hummus, zucchini and five pieces of grilled chicken on a bed of cabbage and onions, plus an excellent small salad. It was all delicious. This was an awful lot of food, though, enough that I took home half my plate. The amount of food seems out of character with what is a fairly nice restaurant with sitdown service. (A friend felt a similar disconnect on his and his wife’s lone visit to the earlier Upland location and never returned.) Still, the remainder made for prime leftovers. You might consider sharing a plate. Because I wasn’t anonymous and the owner waited on me personally, then insisted on treating me, this isn’t a totally objective view. For what it’s worth, I’d say Mes Amis is a good addition to the Upland dining scene. Also, that Chino Hills fans would want to give the new version a try, even though it’s a schlep to Upland and the ambience is a little less atmospheric. But you can look at the photos and make up your own mind. 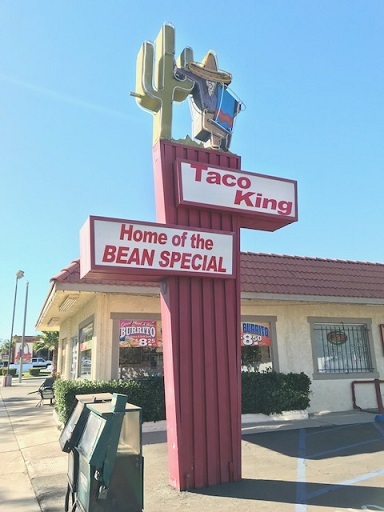 I have never been tempted to order the bean special, whatever it is, but I have eaten at Taco King a few times over the years. It never struck me as exceptional. But I had a surprisingly good burrito there in October. I didn’t take any photographs except of the exterior because I was sure I’d written about Taco King here before. Wrong! A search of this blog revealed that I hadn’t. 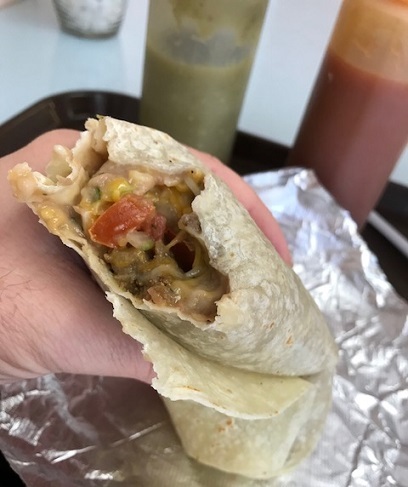 So the next chance I had, I went back and ordered the same thing, pictured above, a combination burrito with carne asada ($6.05). It was light on the beef, which would bother some, but the stew-like filling was, dare I say it, more traditional. The first time I got it as a combo (a combination burrito combo?) with chips and a drink ($9.20). The small dining room is done in pastels. 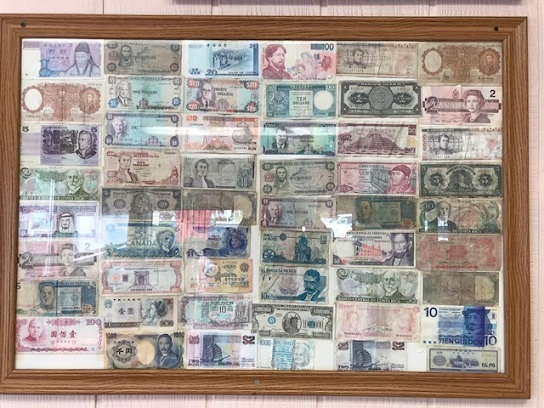 the wall art includes Mexican currency mounted inside a frame, and a few photos show the place as Taka Taco and then Taco King, labeled with the year. 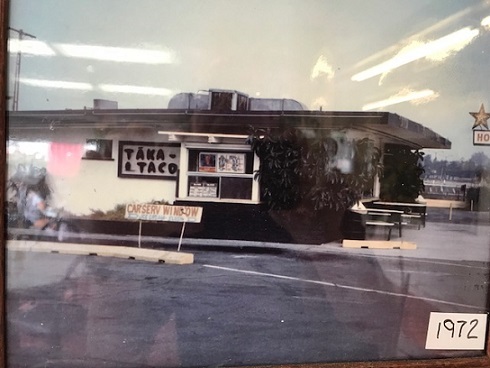 Was anything here prior to Taka Taco, or was it the original occupant? Inquiring minds want to know. 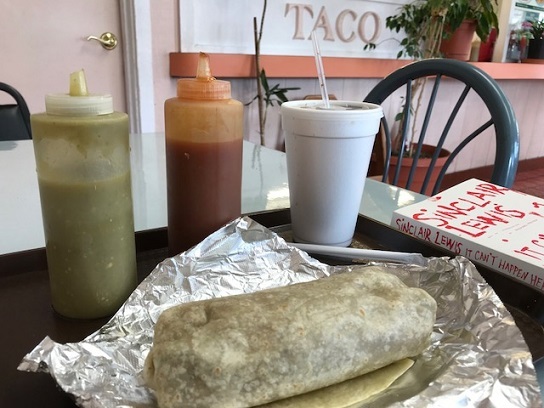 Taco King has tacos, of course, for $1.90, soft or hard, with carnitas, pastor, asada, chicken, beef and cabeza (head meat), plus burritos, taquitos, burgers, nachos, menudo and breakfast items. It currently has a middle of the road 3 stars on Yelp, the usual split-the-difference rating between those who love it and those who say they threw their food away. Three stars is about right, though: solidly good. But I have newfound respect for the place. 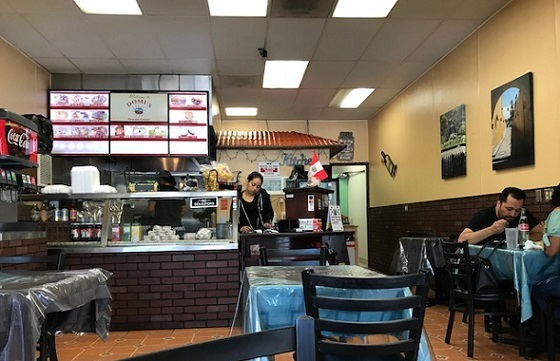 While there’s nothing hip or trendy about Taco King, and the overall look and style may veer closer to Del Taco than Tacos Mexico, when was the last time you had cabeza or menudo at Del Taco? 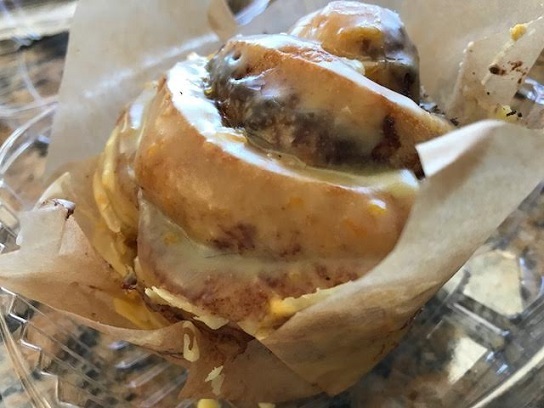 They make cinnamon rolls at Sweet Dough, which is in the Foothills Kitchen incubator in the space that used to have Bert and Rocky’s. It’s a walk-in operation with limited seating. 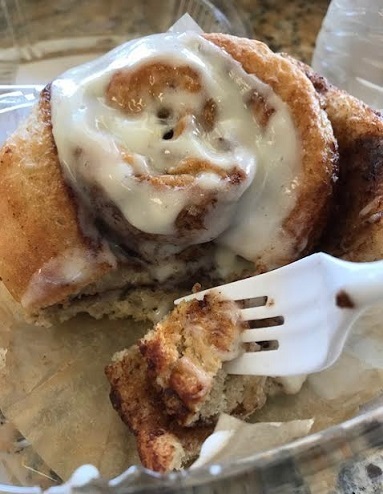 Most people evidently want to eat their cinnamon rolls out of sight, maybe with the container open on their lap, where they can huddle over it in privacy. At any given time the display case probably has eight rolls, but the full list is 50, and the staff says it’s more like 80. The basic rolls are $4, with specialty rolls $4.45 or $4.95. 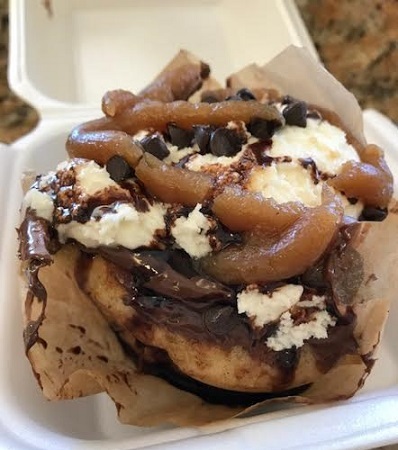 Among the rolls: the Elvis, Butterfinger, caramel macchiato, Snickers, caramel apple, cinnamon horchata, maple, salted caramel and Nutella butter cookie. 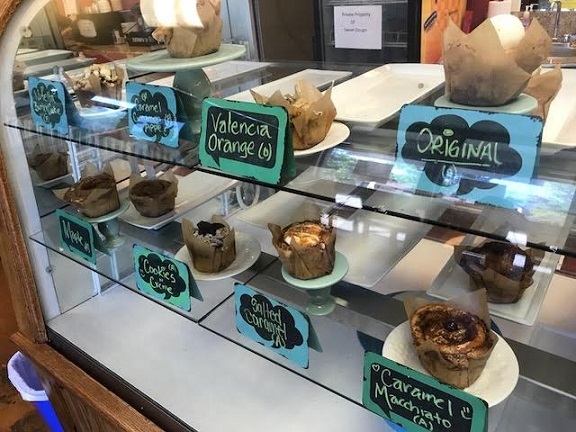 I’ve had the Valencia orange, the original cinnamon and one that was more clearly a dessert than a breakfast item, the peanut butter and chocolate. They’re pictured below in that order. These are proportionately like cupcakes, but bigger, rather than disc-shaped. I liked them, the first two more than the more elaborate peanut butter and chocolate, which may be more a reflection of my no-frills taste than commentary on the rolls themselves. One thing’s for sure, Sweet Dough’s orange beat Pillsbury by a mile. The staff is friendly, particularly the woman I believe is the owner. Her young son helped ring me up on my last visit. 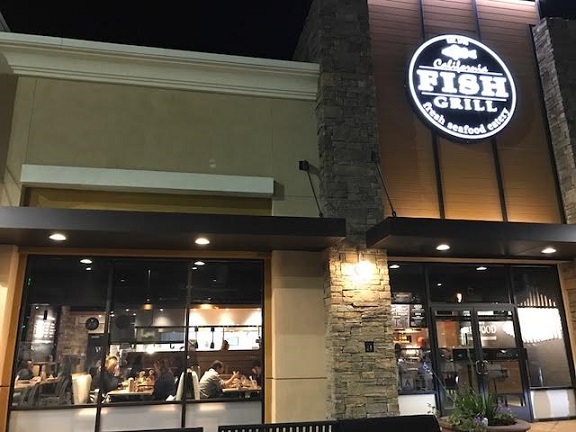 Located in the newest section of the Colonies Crossroads Center, California Fish Grill is next to Oggi’s, on the north side of 19th Street. I was across the street getting a new cell phone recently and thought I’d try out CFG for dinner. 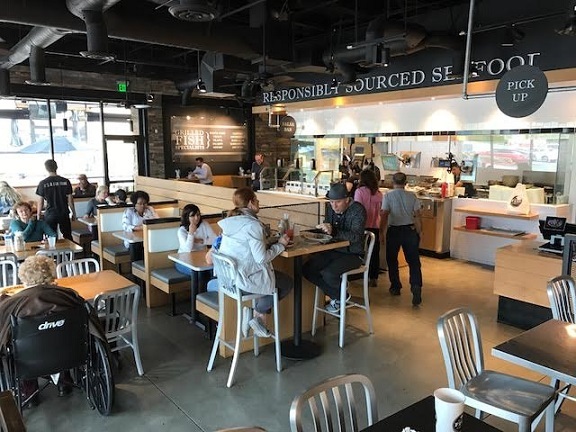 The experience and menu are similar to Pacific Fish Grill, which has a location in the Shoppes at Chino Hills that I’ve visited repeatedly. There’s an array of fresh fish entrees, which you can order with various seasonings and sides, and you order at the counter. 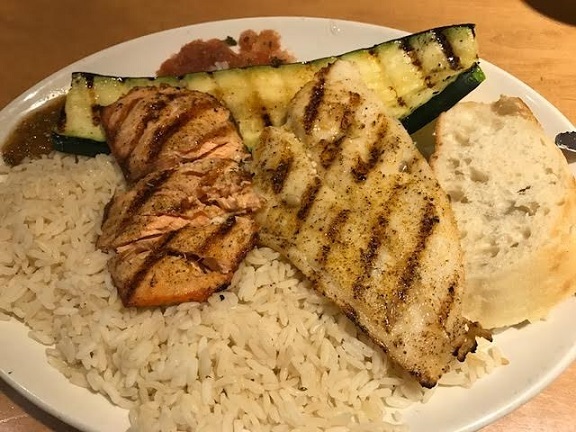 I got a combo of salmon and swai ($11.50), with rice and zucchini as my sides. On a second visit, at lunchtime, I got the serrano lime salmon bowl ($9). I enjoyed both of these meals; they seemed light, fresh and healthy. A few points of comparison with Pacific Fish Grill: The latter delivers to your table instead of making you pick up your food (on a giant metal tray that holds two or three plates and looks like overkill when you’re eating solo); it doesn’t charge 50 cents more for brown rice; and it offers a side of vegetables, not simply zucchini. 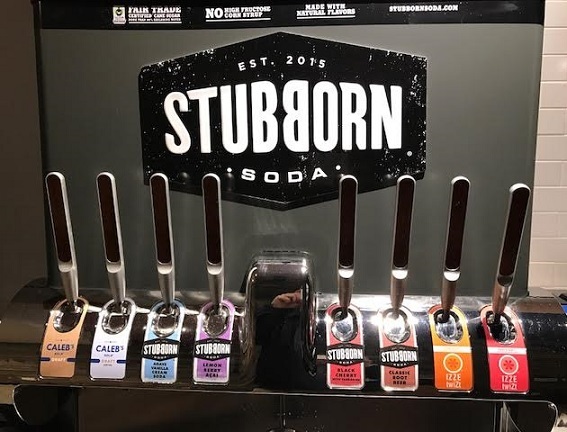 On the other hand, California Fish Grill has more variety in its menu; it has a salsa bar; and its soda dispenser has non-brand names, from Stubborn Soda, with no artificial sweeteners or colors and better flavors (a la The Melt); I had black cherry and vanilla cream. So between the two places, it’s kind of a draw. The comparison may not be meaningful to you if you live closer to one or the other rather than kind of in between, but I made it anyway. 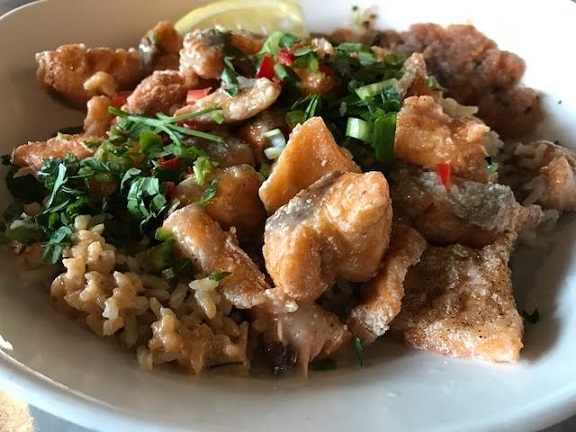 Overall, I liked the Upland chain seafood restaurant slightly more than the Chino Hills chain seafood restaurant, but they’re both worth trying. 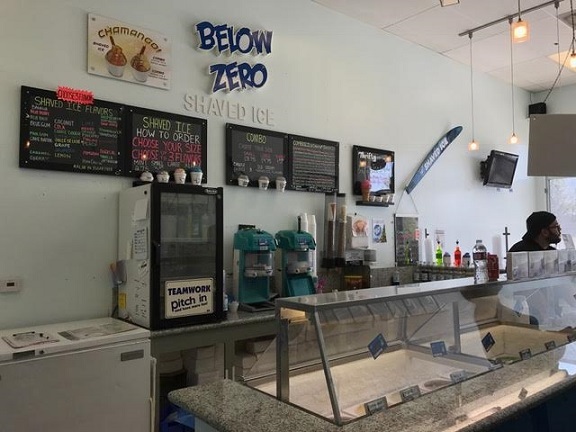 A friend with Upland knowledge asked if I’d been to Below Zero Shaved Ice, and I had to admit I’d never heard of it. (It opened in 2011.) So we met up on a recent hot afternoon for dessert. It’s in a strip mall, the same one with Ashirwad vegetarian Indian restaurant. 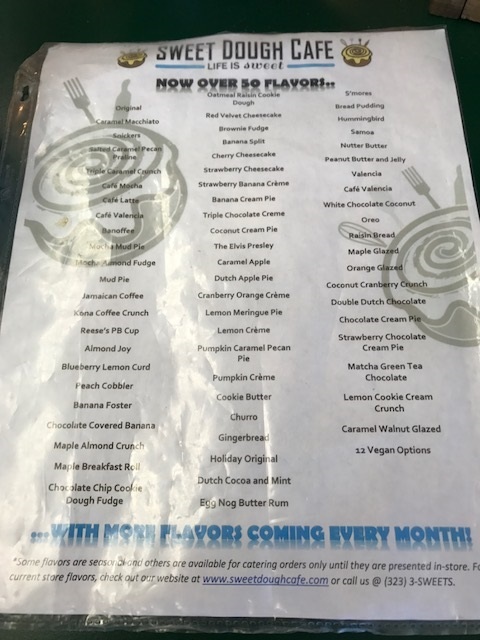 I noted approvingly that Below Zero uses Thrifty ice cream. But wait, isn’t this a shaved ice spot? It is, but it has ice cream too. 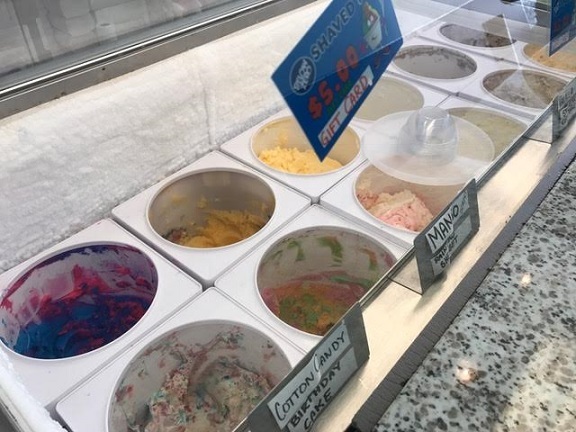 The menu board has the ice flavors, and the ice cream is in labeled tubs like at other ice cream parlors. A specials board lists pre-selected combinations. To save the fuss of choosing, which is after all why combinations exist, I went with the No. 1, a root beer float; my friend got one of her usuals, pina colada (small, $3.75). What arrived were dishes with generous servings spilling out over the top of the bubble top. 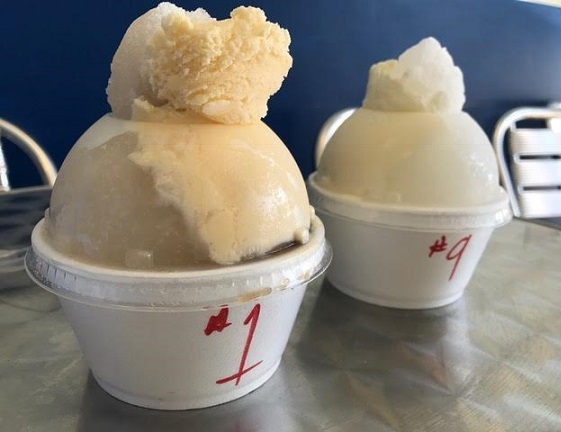 Mine had vanilla ice cream, root beer and vanilla shaved ice; hers had coconut-pineapple ice cream and pina colada-flavored shaved ice. From above, you think it’s like a twist, where you get equal servings of two flavors. Or maybe that you would get shorted on the ice cream in favor of the less-expensive ice. But no. “Don’t worry, there’s plenty of ice cream,” my friend said as I dug in. And she was right: The ice cream fills one side but also layers the bottom. Eating them equally, I ran out of shaved ice before I ran out of ice cream.